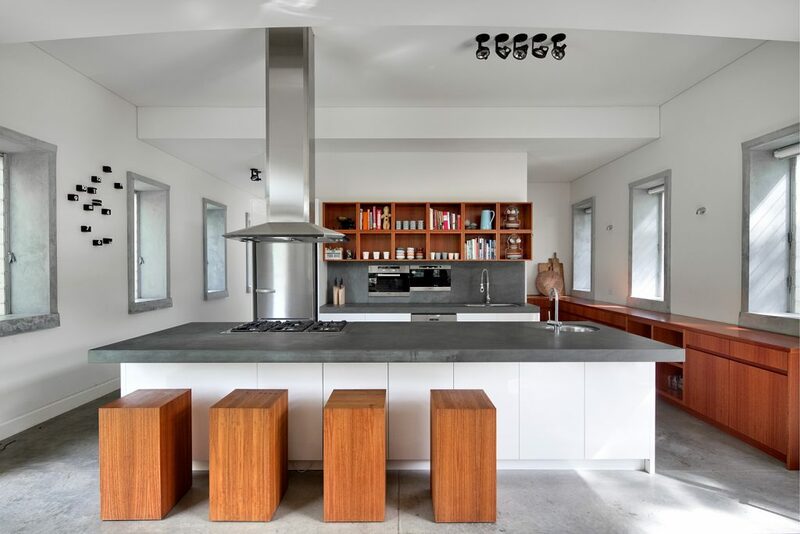 When the soon-to-be-owner set eyes on the 52ha property—a former piggery off the southern coast of NSW—she fell in love with the rusted outbuildings and called upon Alex Roth of Roth Architecture to help her realise her dream. The project was to create a space large enough to cater for an extended family, while retaining the original rustic charm that the owner had fallen in love with in the first place. With extensive experience working with residential heritage dwellings, Alex was able to advise that the desired extension would ruin the character of the original cottage and set upon building an ambitious plan that would incorporate the old buildings into the new. Alex devised an innovative extension that connected the old cottage with the new dwellings, wrapping the new buildings around the old. The outcome gives a timeless sense to the properties, so that it becomes difficult to determine where the original structures end and the new ones begin. 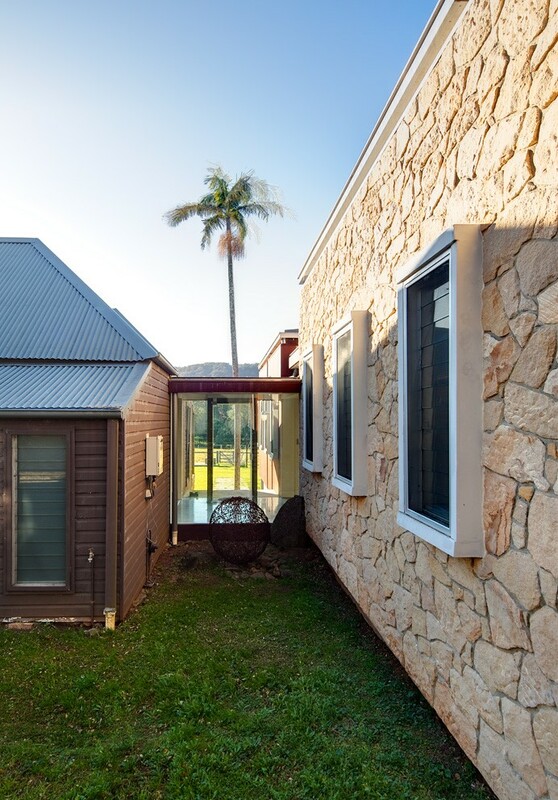 The new buildings retain the original rustic nature of the property, with complementary colours and materials employed to create a strong sense of continuity. A robust material called HW350, desirable for its tendency to rust, was used to help ‘age’ the exterior of some sections of the new dwellings, ensuring that, with time, the new and old structures would come to resemble each other even more closely. Achieving balance with the landscape and original buildings was as important as maintaining the rustic old feeling of the original farm structures in the new design. 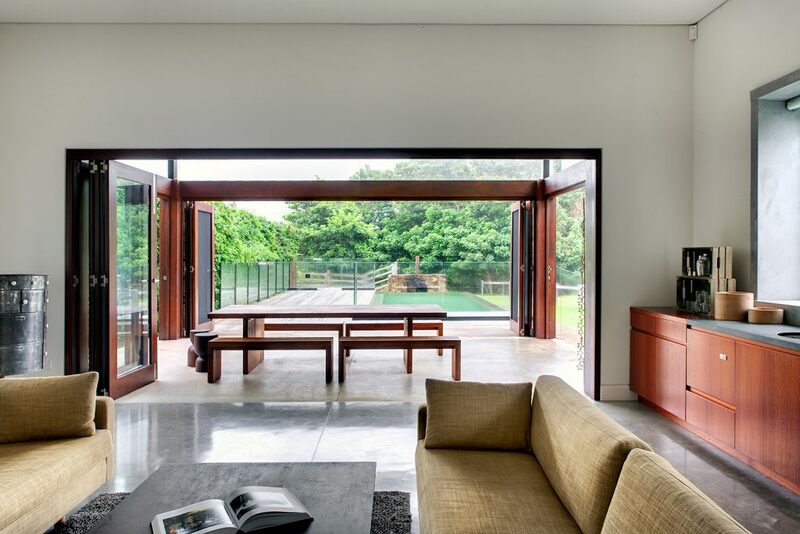 This was achieved by giving the living spaces generous doors and windows, with several large openings that blur the lines between ‘inside’ and ‘outside’. Steps lead down from one of the open living areas, giving the effect of the inside of the dwellings spilling into the outside of the estate. In keeping with this theme, louvres were used to open up the house to cross-breezes in the valley. Many of the rooms have a side that looks back into the dwellings due to the J-shaped structure of the new buildings in relation to the original farm cottage, giving the house an interconnected sense as well as an open one. The passageways joining old buildings with new further obfuscate the dichotomy of inside/outside, acting as outdoor rooms, repurposing unrelated and empty pockets of space, reinforcing the spatial relationships which are key to the design of the site. 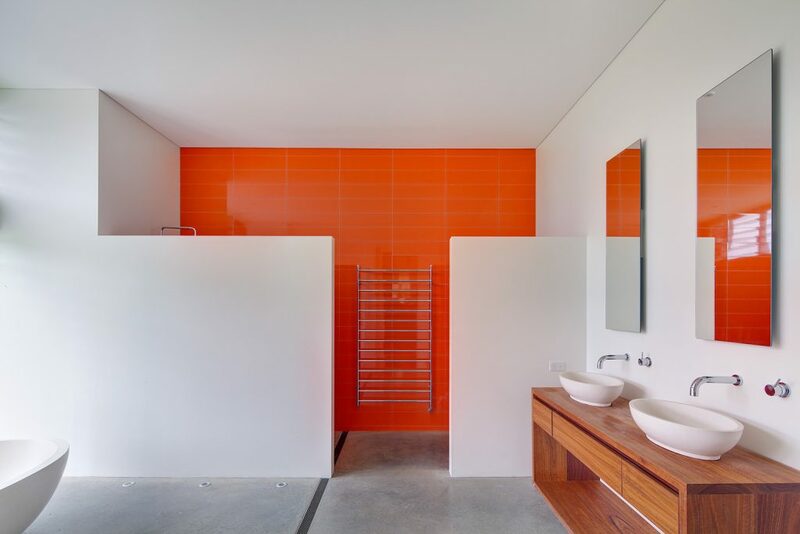 The inside is defined by clean white lines with minimal wood furnishings, polished concrete floors adding to the effect while fulfilling fire-safety requirements—an essential for any rural property in NSW. Foxground Farmhouse is a beautiful and functional country property that does not impose itself on the estate, but blends masterfully with the existing buildings and landscape. To discuss your project, contact us today.